I’ve kept this secret pretty well on BTB Sports so far, but I am beyond proud to admit that I, a New Jersey resident who lives 20 minutes from MetLife, am a die-hard Seattle Seahawks fan. Before the bandwagon claims come, I was a fan through the 4-12 seasons, through the T.J. Houzman-whatever years, and the “Tarvaris Jackson is our future” era. But, I was also a fan when they won their very first Super Bowl, one of the greatest nights of my life; where all the chocolate milk superstitions (a story for another day) finally paid off. Yet, I was also experienced when they threw the ball on the goal line, losing the Super Bowl one year later in the most heartbreaking fashion possible, and creating an everlasting “Should have ran the ball” joke that kills a small piece of me every time it is murmured. You can say a lot about the current Seahawks era, but you cannot say they have been boring. Watch this hype video from a great Seahawks account to really get in the mood for some 12’s Football, and then let’s get down to it. After yet another Divisional Round playoff exit and a 36-20 stomping by the Atlanta Falcons, the Seattle Seahawks are ready to take on the NFL and go for their second Super Bowl title. I, for one, think they have every chance to achieve this task. But before I discuss the upcoming season, let’s discuss their key offseason additions. K Blair Walsh: Remember him? The guy that blew the 17-yard field goal attempt against the Seahawks in the -300 degrees Fahreinheit playoff game against the Vikings? Yeah, he’s on our team now. We got rid of Hauschka, AKA Stephen Automatic, and replaced him with a career 84% kicker. Not everyone is Justin Tucker, so I think this was a nice addition to the special teams. RB Eddie Lacy: Kinda scratched my head at this one because I thought we had some nice talent at the RB position when healthy. Key word there is when healthy. Thomas Rawls and C.J. Prosise are a dynamic duo, but also very injury prone (both are already dealing with injuries). Lacy has star power, and could be a force at the goal line, but I’m worried about their offense getting too predictable based on who’s in the backfield. From a depth perspective though, this signing helps a great deal if one of the aforementioned goes down longterm. DT Malik McDowell: Their 2nd round pick, and first selection in the 2017 draft, was a great one. I would have liked to see a lineman get taken here, but I’ve learned to trust the system when it comes to draft day in Seattle. He has top-15 potential and is a perfect addition to an already elite defense. DT Sheldon Richardson: I did not see this coming. When I heard Kearse was on the trade block, I got really sad. He has been a fixture in the Seahawks multiple playoff runs and one of household names for the 12’s. But when I heard what we got for him, I tipped my cap and wished him the best. I firmly believe we have a great chance to have the most dominant front line in football this season with Richardson. Our offensive line. I don’t even want to talk about how bad it was last year, and George Fant already went down with a torn ACL in preseason. 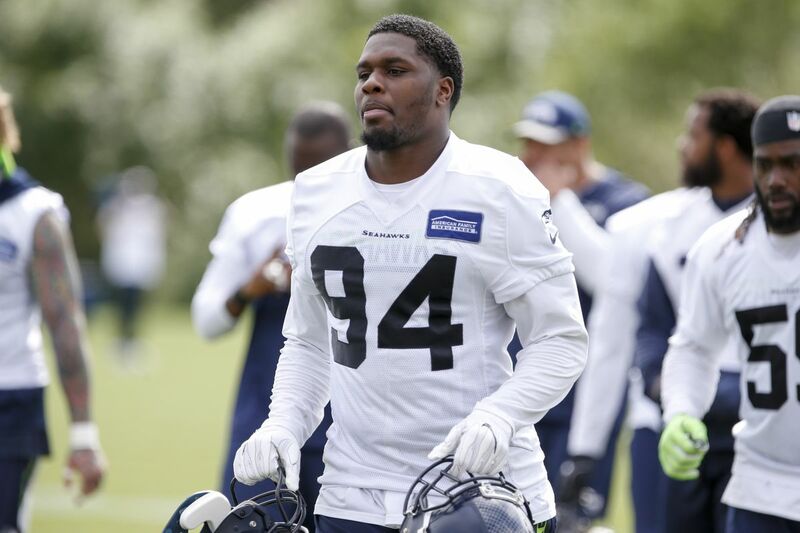 He was developing very promisingly, so I hope he does not turn into another Russell Okung after a serious injury. The line played well in the preseason, but I try not to take too much away from the games that don’t matter. We need to protect Wilson this season. They gave up 42 sacks with a running quarterback, which means he got hit before he even had a chance to scramble. They were overall the 26th worst line in football, which cannot happen again if we want to contend. 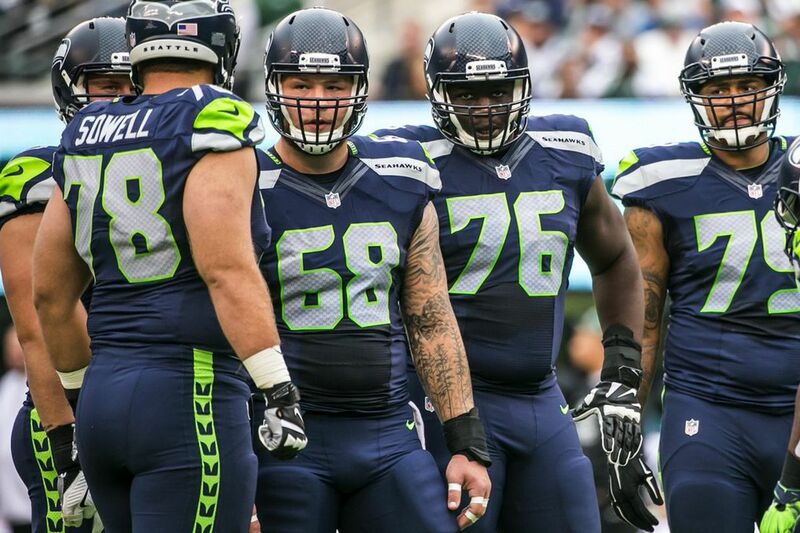 Let me be clear: IF THE SEAHAWKS WANT TO WIN THE SUPERBOWL, THEY CANNOT DO IT WITH A LINE THIS BAD. There, I said it, and I know it’s not anything new to real Seahawks fans. We all know it, and it’s always a problem. I get that you want these guys to develop, but this is a clear weakness that they seem to ignore every year. When they face other elite defenses, they will be in for a rough time. I’m not saying they need to be dominant like the Cowboys line, but they need to be at least top 20. Give me that, at least. Move up 6 spots, and we can work with that. I do like the fact that emerging talent Paul Richardson will start seeing more touches. He can really go get it with the best of them, and alongside Doug Baldwin and a healthy Lockett and Graham, I like our receiving corps this year. As per usual, Wilson will be great, and the defense will be amazing. Life without Earl Thomas was very hard, and I knew right when he went down we lost our chance at a ring. But with him manning the safety position with co-star Kam Chancellor, they will be the top scoring defense yet again. In football though, it is important to take things week by week. So for Week 1, against the Green Bay Packers, I predict a shootout. The Packers secondary is slightly improved, but people can still carve them up with ease, so expect the Seahawks to score very often. As for the Packers offense, I think this will be one of the few times the Seahawks find trouble stopping a team. Rodgers is to football as Albert Einstein was to science. He can do things other people physically cannot. For that reason, I think they will score big too. I have a really good feeling this year, let’s stay healthy and take over the NFL. Check in next week for more Seahawks updates. Previous PostMcGon’s Picks: NFL Week 1Next PostThe Indians Have Won 18 in a Row…You Nervous Billy Beane?